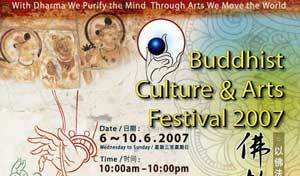 Kuala Lumpur, Malaysia -- RELICS and statues of Lord Buddha will be among the highlights at the Buddhist Culture & Arts Festival (BCAF) 2007 in June. The relics are regarded national treasures in Buddhist countries like Sri Lanka, Thailand, and Myanmar, while the Buddha and Bodhisattva statues portray a colourful representation of different Buddha forms. The festival is set to take place at the Malaysia International Exhibition & Convention Centre (MIECC) in Mines Resort City, Seri Kembangan, Kuala Lumpur from June 6 to 10. It is jointly organized by 50 Buddhist societies nationwide, making the festival the largest joint effort to be held in the history of Malaysian Buddhism. At the exhibition, the public will get to see the rich heritage, culture, and teachings of the religion across the entire spectrum of the three main Buddhist traditions – Theravada, Mahayana, and Vajrayana. Sri Lanka Buddhist Temple Kuala Lumpur abbot Ven B. Sri Saranankara Nayaka Maha Thero, who is also one of BCAF's two joint chairmen, said the festival was Buddhism's contribution to Visit Malaysia Year 2007. 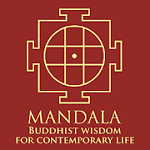 “Buddhism can provide a rich culture and art to reach people's heart and minds in many ways. It is the first time that a Buddhist art and culture festival is being organised on such a large scale,” said Ven B. Sri Saranankara. Kwan Inn Teng Petaling Jaya superintendent Ven Shih Ming Ji is the other joint chairman. 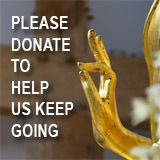 “We hope to let people know more about Buddhism through BCAF. Buddhism has a long history that dates back 2,500 years. It originated in India before moving to other countries like China and Sri Lanka. Buddha's teachings remain the same, but each country has their own cultures now,” said Ven Shih. Besides promoting Buddhist arts and culture, BCAF aims to also enhance fellowship amongst Buddhist organisations in the country and improve the public understanding of Buddhism. The festival site will be divided into four main areas - the exhibition area, the cultural performances section, the film segment, and an area for charitable sales. To house the relics, a purpose-built pavilion will be erected at the exhibition hall for public viewing. Visitors will also be able to offer chants and devotional prayers at a special area beside the pavilion. A giant footprint replica of the Buddha will also be displayed. The footprint replica, which will bear unique designs symbolizing the various qualities of the Buddha, is said to have been used by ancient Buddhists as a devotional icon before the advent of Buddha images. Another highlight is a giant Mandala, a traditional form of Buddhist art in Tibet. The Mandala has intricate designs representing the entire cosmos and all sentient beings it contains, but at the end of the exhibition, it will be 'destroyed' with a swipe of hand to give a poignant reminder that all things in the universe are impermanent and subject to decay and dissolution. There will also be a 84,000 light-bulb Giant Pandal that will display 28 episodes or stories connected to the life of the Buddha. Devotees can also make a donation of RM10 to light one of the 84,000 oil lamp offerings. There will also be an 84,000 lotus-buds offering to the Buddha. The figure 84,000 is said to be symbolic to the 84,000 teachings of Buddhism. A photography exhibition of 'Journey to the West' will render the journey of how Buddhism was brought to mainland China from India during the Tang dynasty. Cultural performances will include hymns in Mandarin, English, and Pali by Buddhist Dharma Schools and other traditional dances from the different Buddhist countries. More than 100 booths will also be set up throughout the exhibition period selling a wide selection of Buddhist paraphernalia, books, CDs, and devotional items. Food and drinks stalls would also be available. Deputy Home Affairs Minister Datuk Tan Chai Ho, who is one of the festival's patrons, said BCAF's objectives were praiseworthy. “Buddhist culture and art have the wisdom and compassion of the Buddha as their intrinsic characteristic, therefore more often than not it would inspire anyone who comes in contact with it,” said Tan. The exhibition is open from 10am to 10pm and entrance is free. For more details, call the secretariat, Young Buddhist Association of Malaysia (YBAM) at 012-2038372 (Loh Yit Phing) or 03-7804 9154 (Lee Hung Hui).